There’s nothing quite like summer nights, especially those spent under the stars. They’re the inspiration behind Vincent Van Gogh’s most famous masterpiece and our bold, vibrant expressions. Now, you can celebrate those starry summer nights in a new way by hosting an evening soirée during the Perseid Meteor Shower, the most popular and dazzling show of shooting stars in the Northern Hemisphere. With a few touches of creativity, you can bring Van Gogh’s Starry Night to life right in your own backyard. 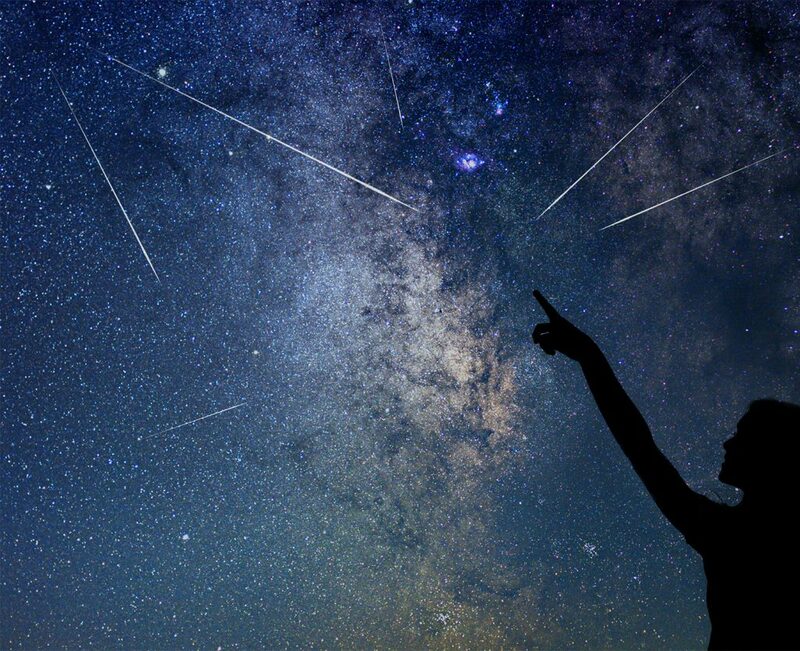 Pro Tip: The Perseid Meteor Shower will be at peak visibility August 11-13 between midnight and dawn! 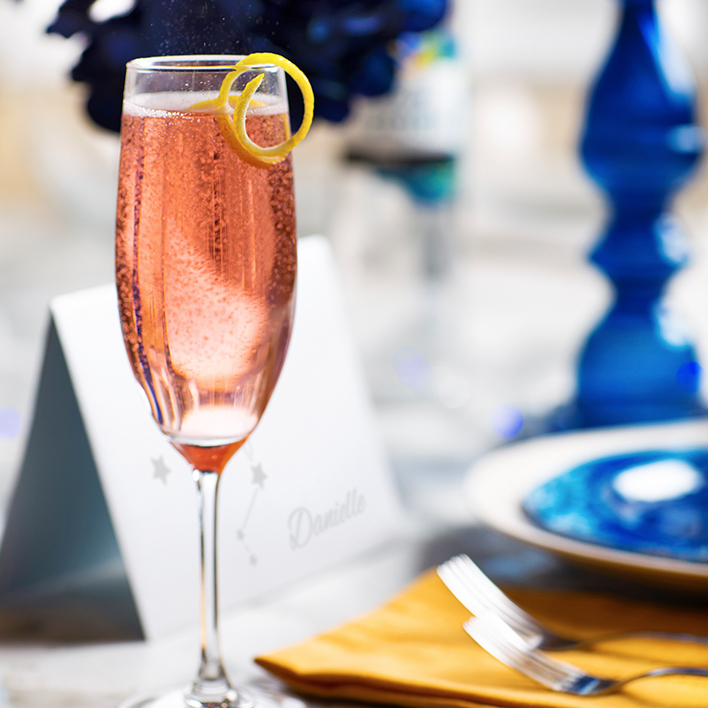 Wow your guests with a creative, Starry Night-inspired cocktail and dessert bar. 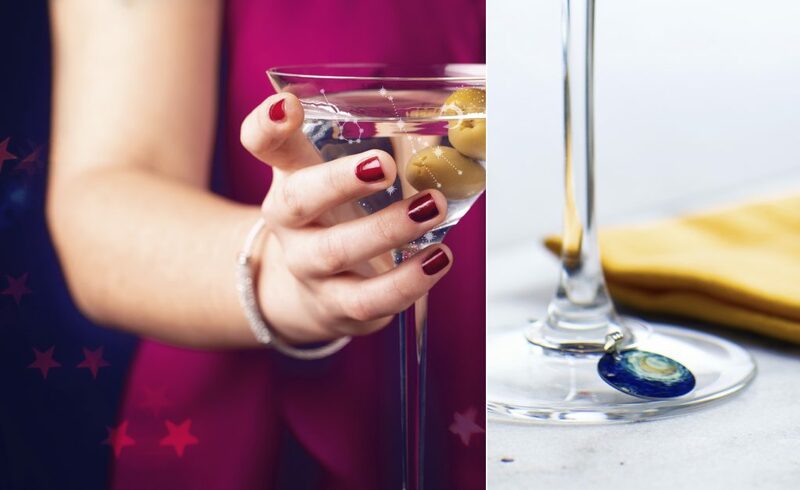 Step One: For drinks that dazzle, we suggest crafting an effervescent cocktail such as Van Gogh Starry Night Sparkler, the Cool Peach Bellini or the Cucumber Mint Fizz. Step Two: Craft your intergalactic garnishes. Cut stars, crescent moons or twists out of fruits and vegetables, like starfruit, cucumber, pineapple, and cantaloupe. Step Three: Get creative and set out rock candy for use as stunning stirrers. Step Four: Top it all off with a variety of themed desserts, such as cosmic cupcakes or galaxy lollipops. Unique stemware is guaranteed to earn your soirée a five-star review, and they can also serve as fun take-home souvenirs. Step One: Print off your favorite constellation or get creative and freestyle one! Tape the paper to the inside of a glass. Step Two: Trace the constellation with a white paint marker. Repeat with all of your glasses. Step Three: Allow the glasses to dry, then place them into a cool oven and turn the oven to 350 degrees. Bake them for 30 minutes. Make sure to let them cool fully before taking them out. Step Four: Add a unique touch, like beautiful Van Gogh Starry Night charms, so guests can tell their drinks apart. Lights Out: Host your Starry Night soirée in a dark location with minimal light pollution, and make sure to turn off all the lights before you start stargazing. Ditch the Binoculars: Shooting stars are easier to see with the naked eye. Break out the Blankets: Give your guests a space to lie down so they don’t strain their necks while looking up at the sky.